My biggest impact on the lives of others has to do with all of the Lisisms I leave behind. Lisisms are not philosophical sayings, but pretty much random words or phrases to mix things up, fill space, or add punctuation to something sweet. Some of these are general, like "BOOM!" While it is something that's pretty popular in our culture, lots of folk seem to attribute my use of it as unique. I'll take that. If there is a way to trademark that junk, let me know. People love it, then over time they start adopting it and say to themselves, "Oh, Lisi!" shaking their head with a smile -- "you got me." I also use "cat" referring to a guy, as in, "that cat over there..."
Some are old school, like "swell." I use this most with strangers, such as with folk at the grocery store or Mickey D's. "How are you today?" they ask. "Swell," I say, but I usually don't have a chipper tone; it's really just matter-of-fact. "I am swell." This is usually met with confusion. "Swell, eh?" But also joy: "Swell? I haven't heard that in forever!" Even if my tone doesn't match the word, it brightens others' days usually. Some are abbreviations. "Struggs" is what I typically use when the day isn't going great. Yes, this is short for "struggling." Some take on a location. So, for example, if someone is acting crazy, like they aren't themselves or they're wigging out, I will say, "That cat's in Wiggsville." I stole this from a friend who, on a day where he was struggs said he was living in "Rocky Craggsville." I think I also got "struggs" from him too. Some just don't make any sense. Back in the day I used to use words like "Zing!" 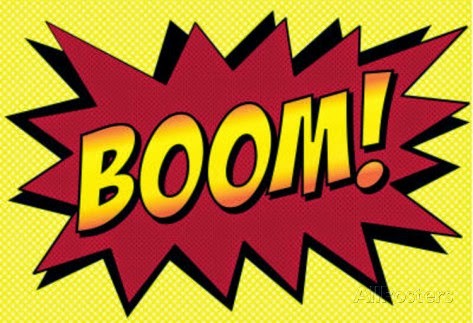 kind of like "Boom" is used. I started using "scoops" at one point to represent either "okay" or "yup." And I'm sure there are others. I've yet to figure out how to really be conversational in my writing to get across just how I really do speak. I guess that takes time. I know they will never go away and that this is the way I am most easily and best remembered. It is the legacy I leave with folk. Sure, I wish my legacy had a deeper impact, but I am growing to love this small impact I make. Words, even my Lisisms, carry with themselves more powerful meaning than we realize, you know? And I can't wait to embarrass Asher and future children with how I talk. BOOM!